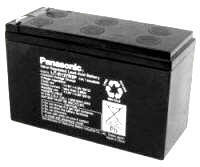 Your new Panasonic Replacement Battery Kit for your APC UPS is stocked in New Zealand and has a 2 year warranty and are excellent value. We only use premium quality batteries because an inferior battery might lead to a short service life or insufficient backup support of the system the UPS is protecting. The table below provides a comprehensive list of APC Replacement Battery Kit numbers for UPS models manufactured by APC. 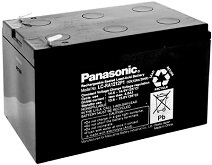 Click on the model of your UPS in the list below to find the correct replacement battery kit. If you are not sure which model of UPS you have got then you can find the model number on a white label which is usually on the back or underside of the unit. Alternatively email us your UPS details and we will look up the battery kit. If you can not see your model email your model number and we will look up the battery kit number. Please note: APC & RBC are registered trade marks of American Power Conversion Corporation and RECELL Ltd use them for reference purposes only.